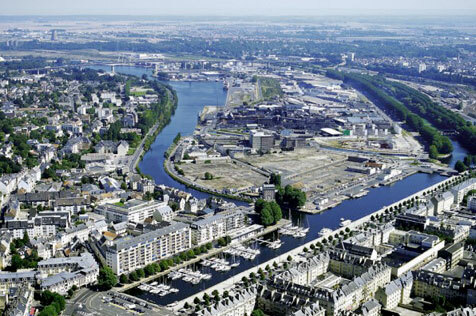 MVRDV, Djamel Klouche and François Leclercq and two other teams have been selected to collaborate for the coming four years on a vision of a 300ha old industrial area and port, the Caen Peninsula (Presquile de Caen). Caen, the capital of Basse-Normandie in the French Departement Calvados, was destroyed during the Second World War and has been restored since, the Presquile project is considered its second restoration. The 300ha Presquile de Caen is located between the city centre and the sea and occupied by industrial structures among which some industrial monuments. MVRDV joined forces with French architect Diagram experienced in the site, landscape architect Territoires and engineering firm IOSIS. The project is a vision of the future based on research and for this the team also comprises of Swiss sociologist Philippe Cabane and Pro-Developpement, a company specialist in development strategy.